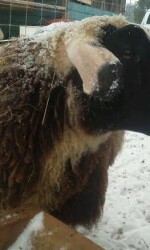 East Friesian sheep are originated in the Friesland area of Holland and Germany in Northern Europe. 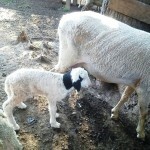 This breed is considered as most fertile breed in the world and that’s why this is a most popular breed in Dairy sheep industry for cross breeding. 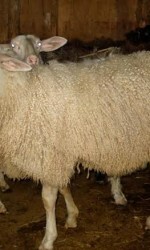 It crossed with other milk sheep breeds to get high production of milk because these are good producer of milk it provide high quantity of milk than any other breed of sheep it produce 400-500kg approximately per lactation with 5-6% fat and it’s lactation periods is 230-240 days approximately it can vary sometimes. 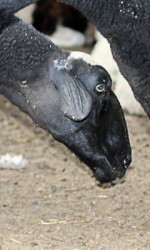 It has a pink nose and a short thin tail like a rat. 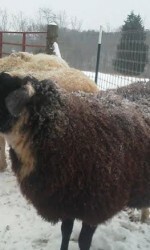 They are not a very hardy it needs easy care. 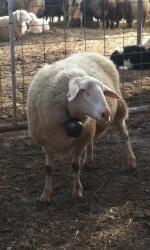 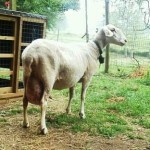 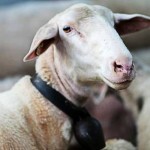 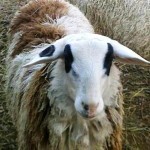 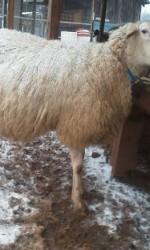 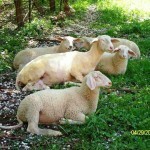 We have mainly three breeds in our farm and it is one of them and karras farm is a leading Dairy sheep farm in USA. 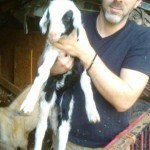 Karras Farm originated in Greece in the late 1800′s by my great grandfather. 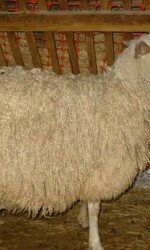 At that time the main focus was to produce the highest quality line of East Friesian Sheep in the world. 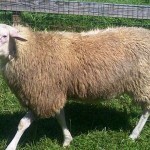 Only breeding the very best genetically pure sheep for superior blood line, milk production, wool and meat. 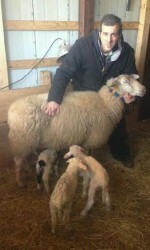 Three generations later this same focus on the perfect of this Sheep bloodline has made its way to the United States. 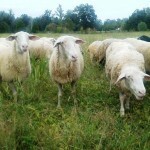 Karras Farm is located in North Carolina on 417 acres of beautiful Carolina countryside. 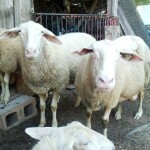 We take the upmost pride in providing our customers a superior product. 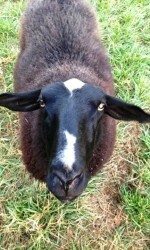 Our prized East Friesian dairy sheep entered the United States in 1996. 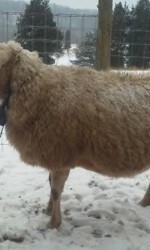 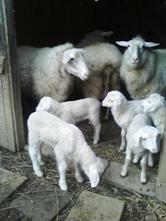 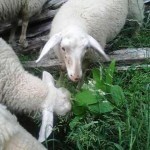 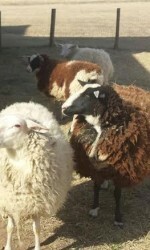 Here is some of the history on how Karras Farm Inc. came to acquire these beautiful sheep. 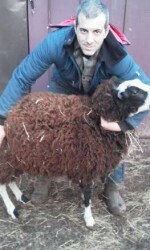 Mary and Rusty Jarvis of Groveland Farm WI partnered with Peter Welkerling an investor from Canada to import full-blood East Friesian embryos from Holland to Canada. 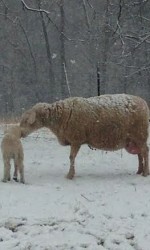 The embryos were implanted into recipient ewes and the first sheep of this breed were born. 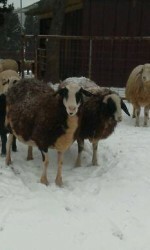 The embryos entered Canada in 1995 at Manitoba. 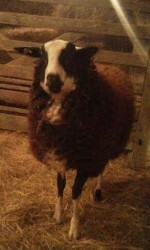 The full-blood lambs were then imported to the USA in 1996 at Pembina ND. 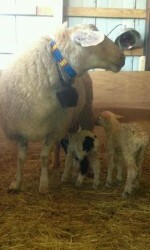 The lambs were taken directly to Groveland Farms in Poplar WI. 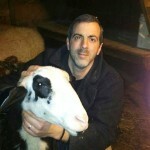 Andy Karras (Karras Farm Inc.) purchased their original East Friesian stock directly from Mary and Rusty Jarvis at Groveland Farm. 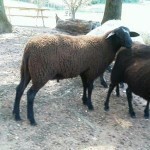 With a selective breeding process, Karras Farm has some of the highest quality East Friesian Dairy sheep available in the United States. 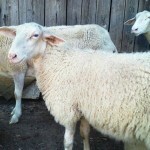 Karras Farm has become a leader in dairy sheep genetics focusing on physical characteristics, milk production, wool and overall animal health. 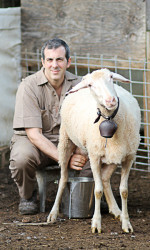 We would like to thank a few people and research organizations in particular that have advanced the cause of sheep dairying in the United States. 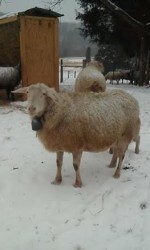 Mary & Rusty Jarvis – Groveland Farm, Poplar WI.